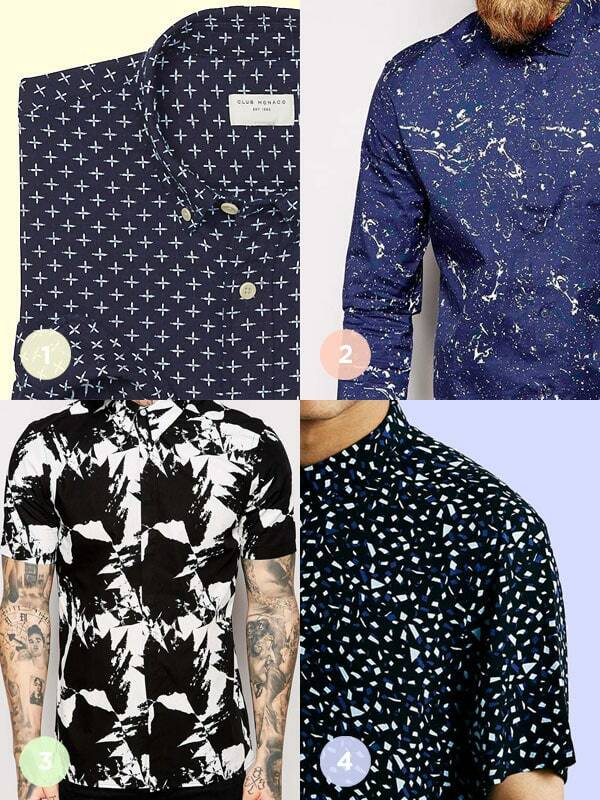 Patterned Shirts for the Dudes! Lately I’m really into shirts with exciting patterns on them. I mean, I like patterns on other things outside of my body, but I’ve always been more of a solid/stripe/plaid kind of guy, shirt-wise. No more. 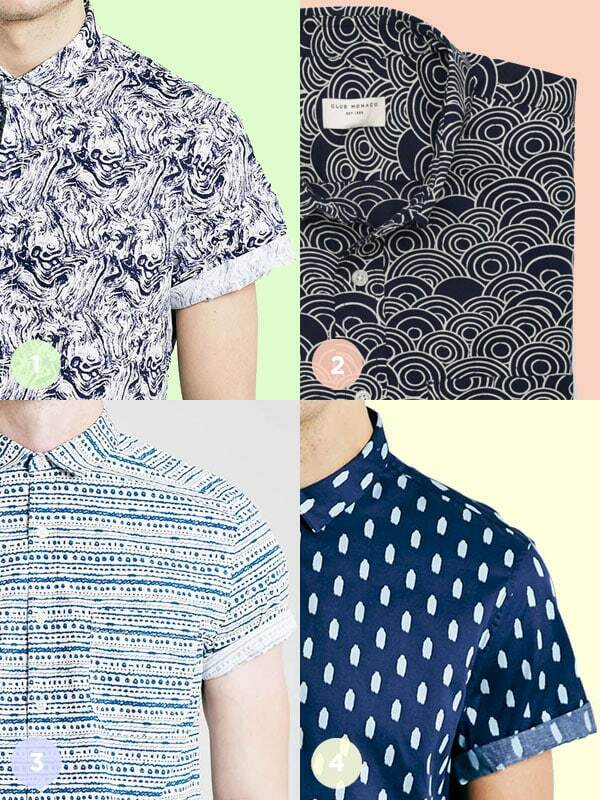 Gimme a good pattern and I will wear it and feel happy about wearing it. Here’s the thing with patterned shirts on the gentlemen: you don’t want to be described as, “you know, that guy who always wears the crazy shirts.” At least I don’t. I don’t want to be a “loud” dresser, because people who dress “loudly” tend to be super annoying and I don’t want to be super annoying, or give people good reason to think I will be based on how I’m dressing. 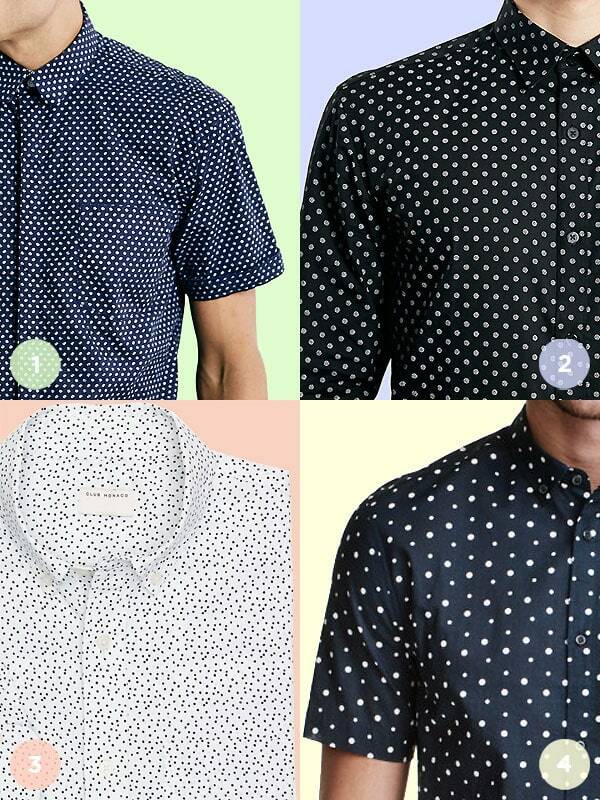 So you have to find the good patterns so you don’t look like an irritating clown. How do you do that? I think like this. First, you limit the colors. A crazy pattern with only a couple of colors will look less nuts than a more simple pattern with a bunch of colors. Second, I like to steer toward abstracts and away from things that are literal/legible, like little floating anchors or even florals. I own a few good florals but they’re tough to get right and can go silly/kitschy/cutesy real fast. Third, I like to pair a good pattern with normal stuff like a simple pair of classic jeans—you don’t want multiple elements of your outfit calling out for attention because then you will look crazy.